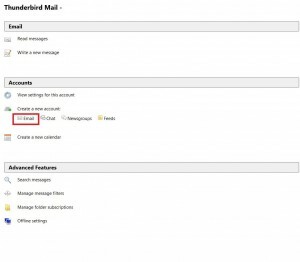 E-mail Client configuration - FAQ - How to set Thunderbird Mail client? 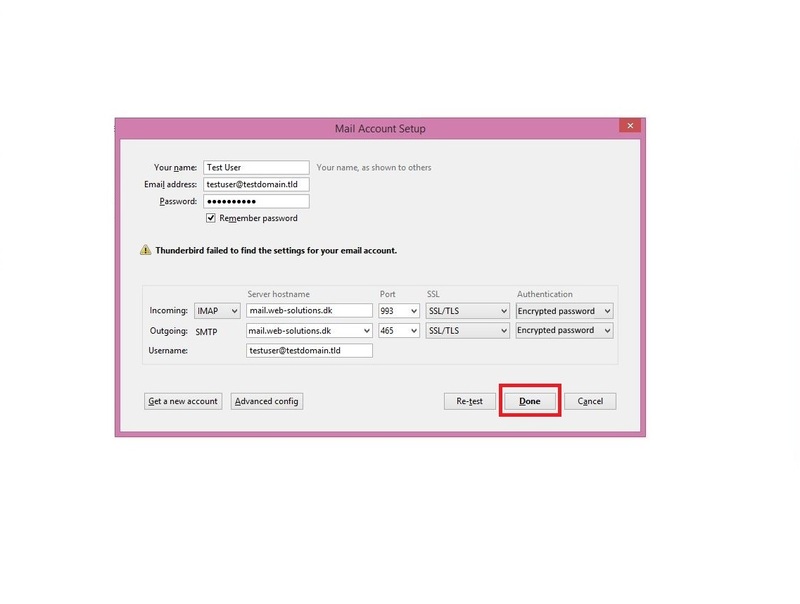 To create New Account choose Email as marked above. 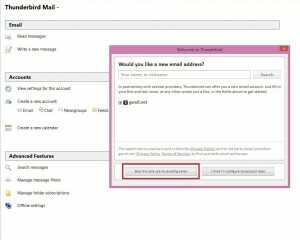 If you already have e-mail account set up in Thunderbird, you can find screen showed above when you click on existing account name. 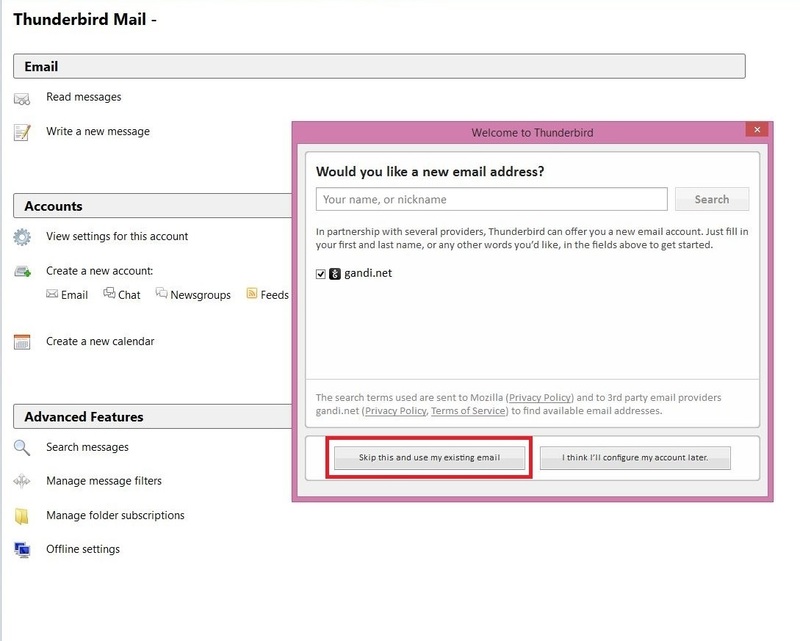 Or you can simply go to “File” -> “New” -> “Existing Email Account”. 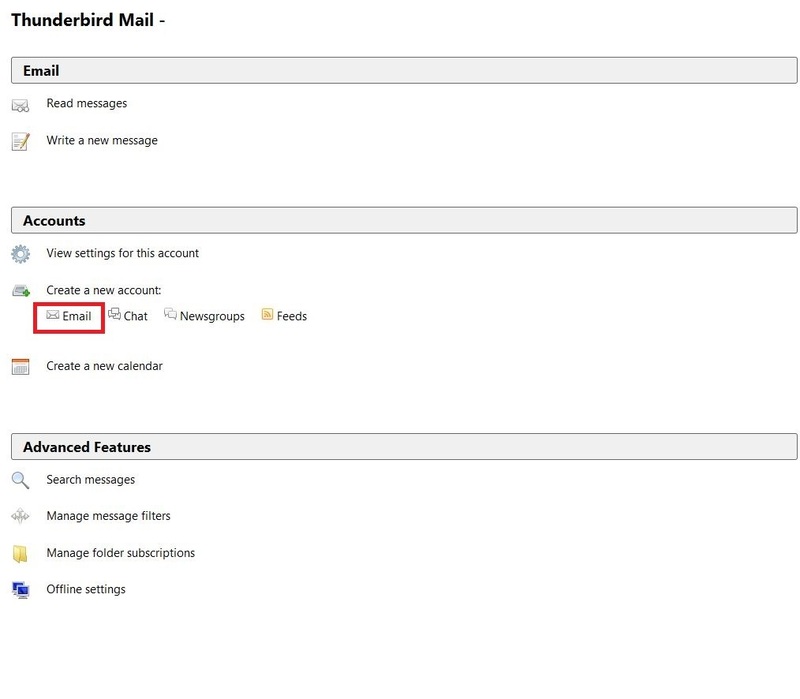 Incoming server type: IMAP – We strongly recommend using IMAP, it helps to synchronise multiple devices with the account and the messages are kept on the server.